How to obtain copies of Minnesota vital records, such as Minnesota birth certificates, Minnesota death records, Minnesota marriage licenses & Minnesota divorce decrees. See the guidelines for general information on how to order vital records. Check the related links for additional vital records and genealogical information on Minnesota. Please Note: The information contained on these pages is not guaranteed, as addresses and prices change frequently. It is recommended that you confirm the price and address by calling the vital records office before you place your order. This web site is not associated with any government office. The Dept of Health no longer accepts walk-in or phone orders because of a change in Minnesota law. However, you may complete your requests by mail. Make check or money order payable to MN Dept. of Health. You may go to a registrar's office in any county in Minnesota to get certificates for births that took place during or after 1900 and for deaths that took place during or after 1997. Copies of earlier records may be obtained from the Local Registrar in the county where the event occurred or from the St. Paul Health Department if the event occurred in St. Paul. Fees vary. A birth certificate cannot be mailed to you unless you demonstrate tangible interest. You demonstrate tangible interest by checking the appropriate box on the application and by having your signature on the application notarized. Applications that are not notarized will not be processed. A death certificate cannot be mailed to you unless you demonstrate tangible interest. You demonstrate tangible interest by checking the appropriate box on the application and by having your signature on the application notarized. Applications that are not notarized will not be processed. Certified copies may be available from the Local Registrar in the county where the divorce was granted. Since 2001, the State of Minnesota has been on a statewide system for birth and death records. Persons are able to obtain certified copies of birth and many death records from a local registrar without the need to apply to their original county of birth or apply through the State Department of Health. Follow this link to determine what county a city or town is in. Aitkin . Anoka . Becker . Beltrami . Benton . Big Stone . Blue Earth . Brown . Carlton . Carver . Cass . Chippewa . Chisago . Clay . Clearwater . Cook . Cottonwood . Crow Wing . Dakota . Dodge . Douglas . Faribault . Fillmore . Freeborn . Goodhue . Grant . Hennepin . Houston . Hubbard . Isanti . Itasca . Jackson . Kanabec . Kandiyohi . Kittson . Koochiching . Lac qui Parle . Lake . Lake of the Woods . Le Sueur . Lincoln . Lyon . Mahnomen . Marshall . Martin . McLeod . Meeker . Mille Lacs . Morrison . Mower . Murray . Nicollet . Nobles . Norman . Olmsted . Otter Tail . Pennington . Pine . Pipestone . Polk . Pope . Ramsey . Red Lake . Redwood . Renville . Rice . Rock . Roseau . Scott . Sherburne . Sibley . St. Louis . Stearns . Steele . Stevens . Swift . Todd . Traverse . Wabasha . Wadena . Waseca . Washington . Watonwan . Wilkin . Winona . Wright . Yellow Medicine . The state of Minnesota has a rich history of proud citizens. These great people of this northern state have contributed a lot to our wonderful country. Minnesota, a state since 1858, has been called home by people great and small. If you were researching Minnesotans, how do you find even the most basic information? If you know the right place to look, you can actually obtain the data from birth certificates and death records of people from the North Star State. Relatives or famous state citizens, the evidence of their beginnings and ends may be accessed from the Minnesota vital records. Do you know what Minnesota vital records are? In a simple explanation, these informative documents include material like birth certificates and death records. If you are working on your family tree, you know that discovering this data is critical to completing your project. Often, writers of research projects need evidence of births and deaths. Such factual data is necessary for record-keeping on the state and national levels. Sociological research, like the ups and downs of population in an area, is gathered from this invaluable source. You may know that organizing a family tree can be exciting. It�s good to remember several key tips to making an effective family tree. First of all, you should copy down the facts you know about your family already. Write down the birth dates of your spouse and children. 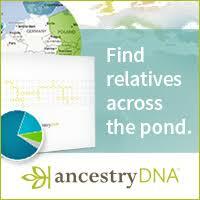 People often know the dates of family births and deaths from recent generations: copy those facts, also. It�s easy to get discouraged if you see that your family tree is somewhat barren. Please don�t give up! There is a location you must visit at this point: the Minnesota vital records. The Minnesota vital records hold the information that has eluded you. If your ancestors are from this state, then chances are great that their birth and death announcements are documented here. Are you a high school or college student who must research past civilians of Minnesota? You want your paper to get the highest marks, and having the factual evidence you need is critical to reaching this goal. A primary source is where you can find original data that empowers the arguments you present in a research paper. An excellent example of a primary source is the location of the Minnesota vital records. Identifying the dates of births and deaths of the subject in your paper is appreciated by your teacher. You will prove you are an adept researcher. Where is this great material to be found? The North Star State presents the data found in these very important documents to the public. They are even accessible on the internet. You can accomplish your goal, whether you want to establish a family tree for your loved ones or you want to wow your class with an exceptional research project. If you focus on finding the resources that are available to you, you can establish yourself as a skillful historian. Please send web site additions and corrections to the webmaster.